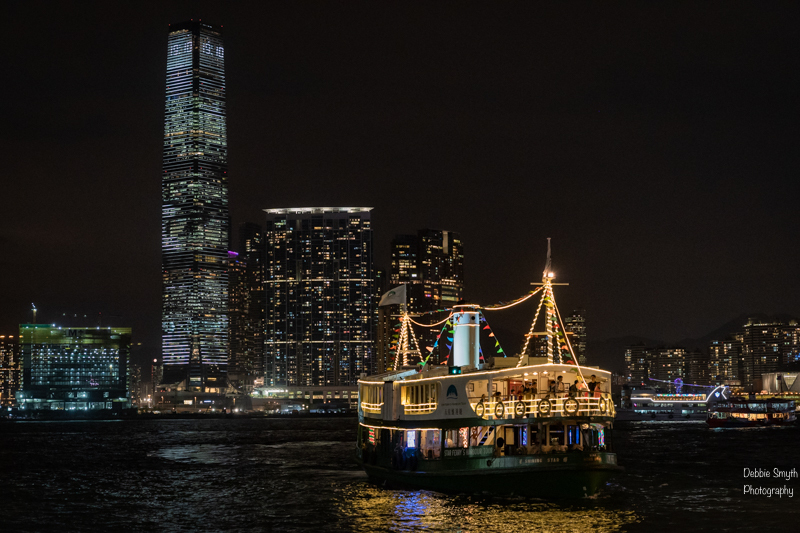 Are you ready for a walk around Victoria Harbour? 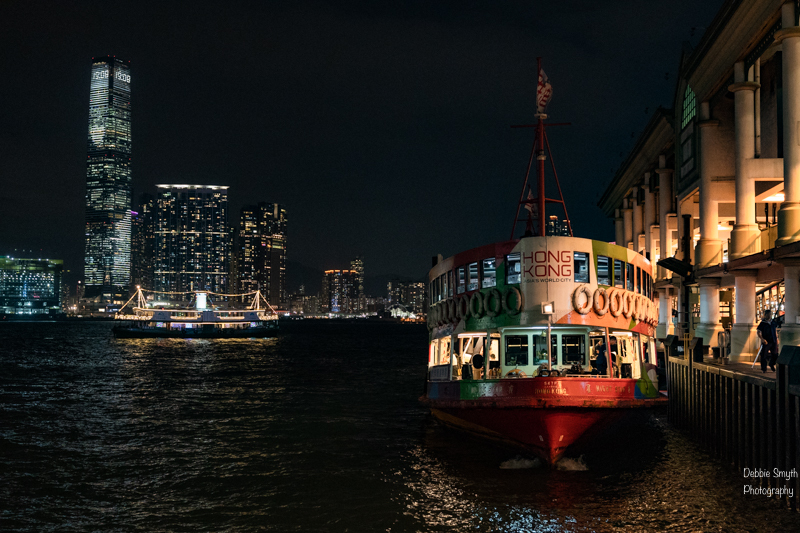 Let’s go and have a stroll along the northern coast of Hong Kong Island, and enjoy the busy harbour and the views across to Kowloon. This walk was the first thing I did when I arrived in Hong Kong a couple of months ago, so coma and share it with me. I arrived late afternoon, dropped my bags in my hotel room and admired the view for a while. Of course, this sight meant I couldn’t stay put for longer than the time it takes for a quick shower and a cup of tea. The city was calling me. Somewhat refreshed, I was ready to explore. The sun was on its way out for the night, and the views were even more tempting now. I grabbed phone and camera and was off to explore. I wasn’t sure how to actually get to the waterfront, but as I wandered along Des Voeux Road West I soon spotted a pedestrian bridge that took me over the busy Connaught Road to the Sun Yat Sen Memorial Park, from where I headed straight to the water and turned right towards Central. 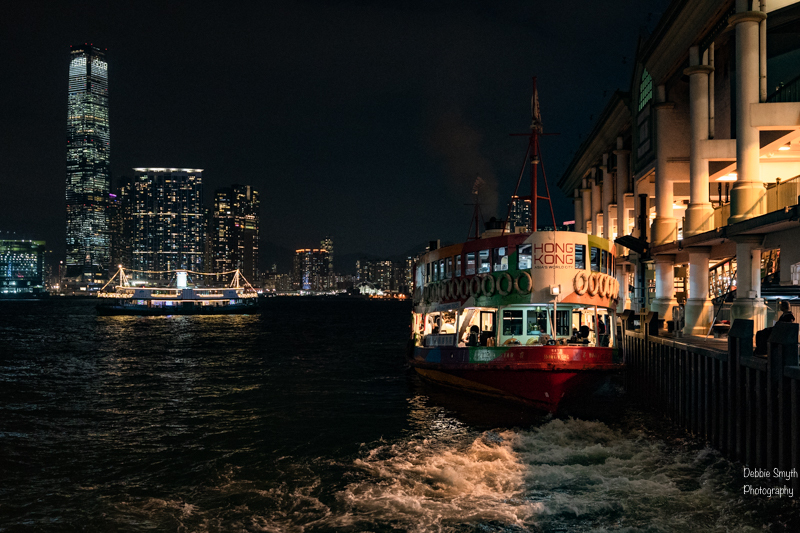 It was almost 30 years since I had been to Hong Kong, so I now stood peering across at Kowloon, searching for things – well, any single thing would do – that I could recognise. Everything looked newer and brighter, though I’m sure some of that was down to my ageing memory, not just to the constant modernisation of this city. The ICC skyscraper is certainly new – it only appeared in 2010. It catches your eye from all angles, and presents a light and music show two or three times an evening. Follow the instructions, download the app, and you can listen to music while watching the lights dance across two sides of the tower – a promise for later. It’s a pretty straightforward walk along the waterfront. A stretch of building work may get in your way but just keep as close to the water as you can. The path soon takes us up and through the shopping mall that houses the Macau Ferry Terminal. The walk takes us right alongside a number of boat jetties, including the star ferry terminal. At least the star ferries were familiar to me from my previous trip, though they looked bigger than I remembered. Looking on along the coast from here, the bright sight that now beckons us is the Hong Kong Observation Wheel, a spot that attracted bridal photo shoots and street musicians. Beyond here, the promenade was under renovation and I didn’t walk much further. There were some pleasant wooden viewing decks that were officially still closed to the public, but were being used by yoga and a variety of keep fit classes. This will be a great stretch when the work is complete, taking you along to Causeway Bay. I turned around at this point, walked back to a little beer kiosk that had set up outside the ferry terminals, grabbed a tasty craft beer and sat down to take in the view and the light show. Cheers! I then retraced my path back to my hotel, ensuring I had trodden sufficient steps to ensure a good night’s sleep to combat jet lag. For those of you wanting to head on elsewhere, or rest your feet, there is a metro station and tram stop nearby. Or simply hop on a ferry across to Kowloon. Lovely, Hong Kong by Night. It seems to have changed a lot over the past few years. Like you I first went there a long way back, and have seen a slow change, but the last few years seem to have transformed the city. I trust you had a good trip. Another great post Debbie! I’ve always wanted to visit Hong Kong. Thanks to this article, I get a little taste of that. Haha. You’ll be a welcome companion! Don’t humour him, Debs! 🙂 🙂 Can’t have him getting too round to walk. Cheeky! Writer’s privilege to be inconsistent. Keeps you interested… hopefully. 🙂 The Belgian Stew doesn’t photograph as well as cake.